I am interested in new modes of being in the world, particularly in the context of our relations to the environment, to each other, to forms of dwelling, to inventive domesticating, and to clothing apparatuses. Altogether, these relations compose an ethics of comportment, and ethical comportment is a main theme of all my work, Mildred’s Lane and The Mildred Complexity in particular. These projects encompass a working, living, researching, making strategy that develops rigorous engagement with every aspect of life—something that I call “workstyles.” Being is the practice. I have been engaged in the conceptually and materially complex field of installation art my whole life. Even as a child, I dug holes and lined them with aluminum foil to create swimming pools, and glittered the leaves around my bedroom windows so I could gaze onto a fairy world. Ethical comportment is a main theme of all my work. 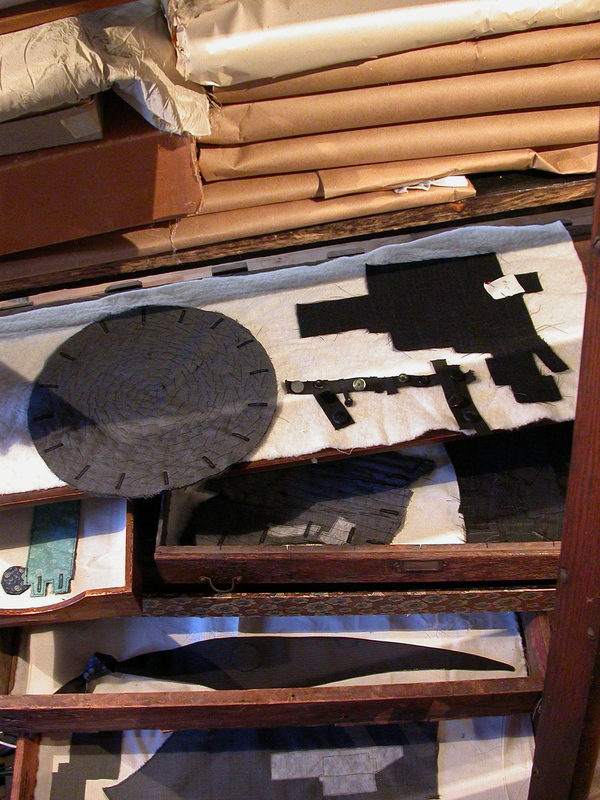 Before I began working on my most recent project, Mildred’s Lane, I created a series of large-scale museum research projects and art installations, primarily investigations into the histories of the needle trades. 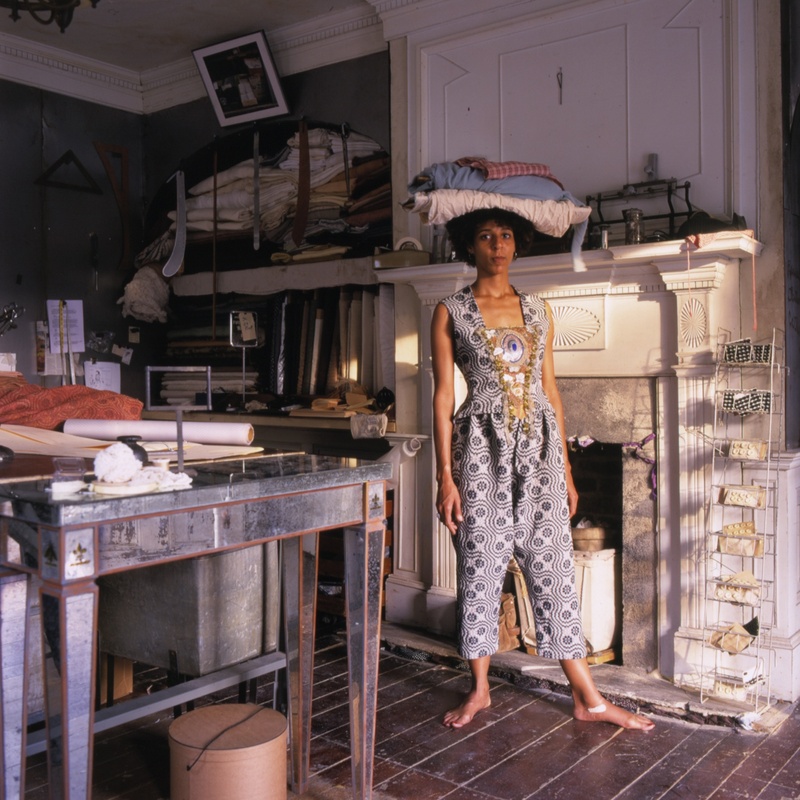 These works reflected my experiences in the fashion industry through autobiographical stories intersected with the histories that emerged in the form of live, performative installation. Earlier in my career, I designed and created a series of experimental storefront projects in Manhattan that stemmed from undergraduate and graduate art and filmmaking projects at the School of the Art Institute of Chicago. I held dinners, salons, and performances in these storefront shops. From there, my research projects morphed from living-clothing-dwelling installations to a small, international clothing label, the retail and wholesale business J. Morgan Puett Incorporated. I initially sought to circumvent the rarified field of experience of the art world, so overcoded by exclusionary conditions that, as a young rebel, I found extremely frustrating. Somehow, though, I found myself entangled in the fashion world, yet another exclusionary system. During this period, I divided my time between Pennsylvania, where I lived in a small chicken coop, and New York City. Even then, I was drawn to both organic and metallic materials. Having come from four generations of beekeepers in the Deep South, I drenched my clothing and eventually the entire archive of my corporation in beeswax. My entire fashion experience was petrified, preserving what was and simultaneously transforming into new forms of being, a concept I am continually fascinated with in all of my practices. I fell into the fashion arena quite by accident. During graduate school, I initially sought to circumvent the rarified field of experience of the art world, so overcoded by exclusionary conditions that, as a young rebel, I found extremely frustrating. Somehow, though, I found myself entangled in the fashion world, yet another exclusionary system. I understand fashion as a symbolic system used and negotiated by every person on this planet. There’s no more universal system than clothing, and fashion involves our very being, so debates regarding the proper place of style, art, and commerce, as these bear on fashion, are not insignificant. Part of my practice is to try to let go of preconceived ideas about fashion in order to expand our notions of what it could mean. I tried to develop an interstitial way of operating, exploiting the apparent gaps of the disciplines within which I worked, using my conceptual toolbox. I’ve spent the last 17 years disentangling those experiences in a string of transhistorical fashion-related installation projects. These have been an attempt to slow down the research and making process in order to investigate the intersections of fashion, architecture, fine art, science, history, environmental activism, and other fields. I try to use the binding ingredients of contemporary culture to create a more accessible public sphere. I’ve always been interested in the collective. In my storefront projects and installations, I learned to collaborate and to attract and engage the public in an immediate way, which triggered this long series of projects and exchanges. The concept of exchange for me is the transferring of an idea or object from one person to another and the subsequent transformation in thinking, feeling, and understanding that takes place. Exchange evolves from collaboration, and in these projects, varieties of collaboration unfold in complex ways, fundamentally influencing my being. Part of my practice is to try to let go of preconceived ideas about fashion in order to expand our notions of what it could mean. 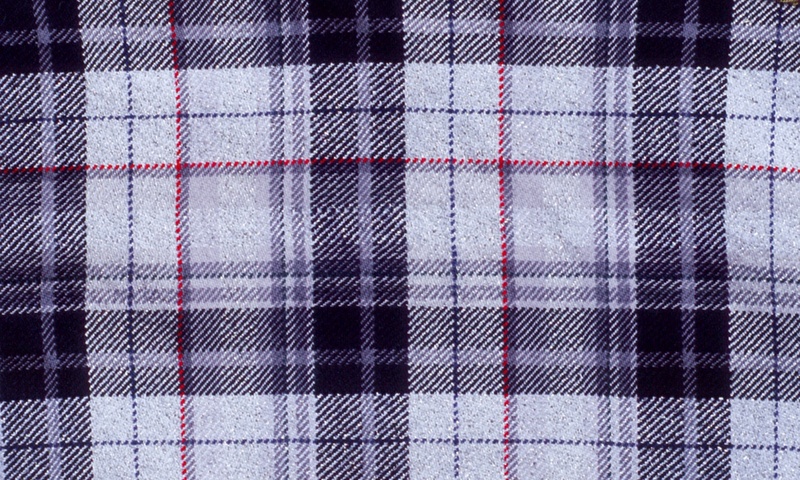 The Manhattan Tartan project, a collaboration with my friend Suzanne Bocanegra, focused on how textiles convey meaning through conceptually complex semiotic systems. 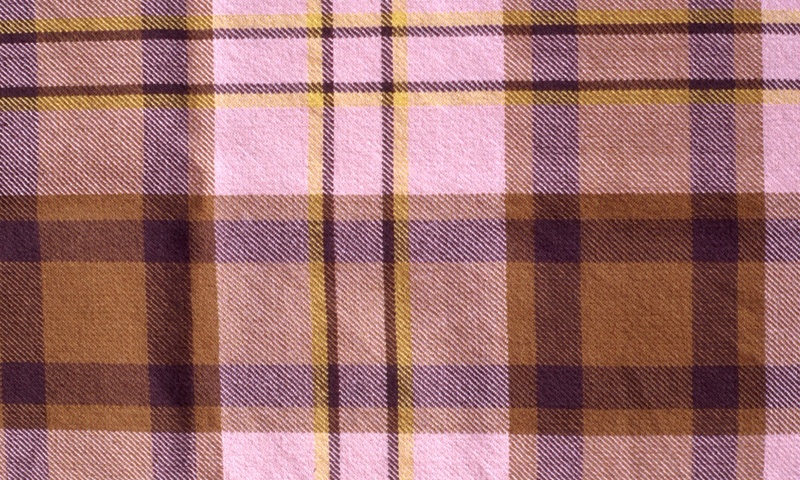 Tartans in particular were designed to reflect kinship relations and regional distinctions, and later emerged as sophisticated expressions of colonial resistance (SEE FIGURE 1). 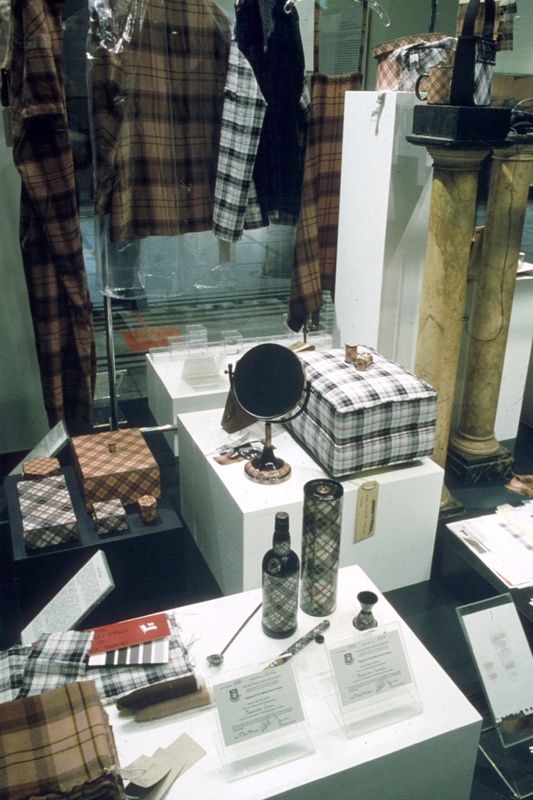 Manhattan Tartan Project: Phase 1 & 2: Financial Tartan, Ethnic Tartan and installation view, J. Morgan Puett and Suzanne Bocanegro 1996-2001. For Cottage Industry, a project in Charleston, South Carolina, I drew from a deep-rooted local history to explore women’s work and roles through tales of women’s pursuits at home, and to evoke industrial sites of exploitation by following garment-making through its history, from the 17th century to the present, from design to dying to sewing to marketing. The project involved extensive research and extended collaborations with artists and artisans from the area. Piecing together missing social histories based on local sources, architectural details, and everyday textiles, it centered on the creation of a multipart garment (SEE FIGURE 2). Cottage Industry, installation and performance view. Curator: Mary Jane Jacob. My collaborators were part of a daily performative installation housed in a small building that we had brought back to life. Every room had multiple experiences for viewers to engage with, becoming themselves part of the production. 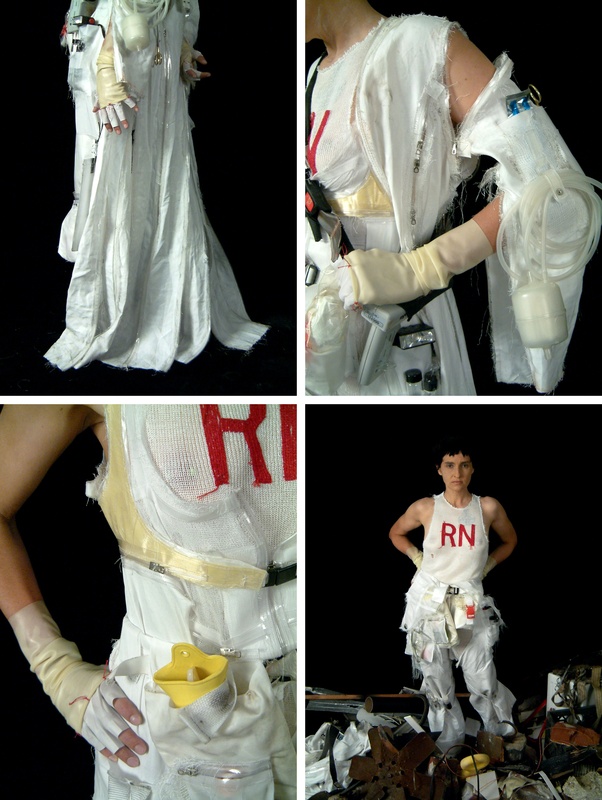 The project “RN: The Past Present and Future of the Nurse’s Uniform” (a collaboration with artist Mark Dion), investigated the subtle ways in which the uniform, by design, informs notions of identity, professional hierarchy, and labor within any given field. As we know, the uniform is a distinctive form of attire worn to communicate the particularity of a given group, as well as the specific role of an individual within a network. Its goal is immediate, universal identification, registered in specific behavioral patterns in both the un-uniformed person and the uniformed subject. The RN exhibition specifically considered the past, present, and future of uniforms worn by American nurses. Throughout the space, we attempted to chart the evolution of nursing apparel in order to explore how changes in design shadowed broader transitions within the social sphere and the field of medicine. In particular, the exhibition examined changes in the symbolic role of nurses and the redefinition of the profession’s conceptualization through its uniforms. It consequently explored the function of style in the production of knowledge. The exhibit also addressed temporality by combining historical artifacts with the collaborative creation of the ideal uniform for the contemporary nurse, and by projecting tropes of knowledge into the future to create uniforms intended for, among others, the “Bioterrorist Nurse,” the “Diagnostic Nurse,” the “Post-Apocalyptic Nurse,” and the “Intergalactic Nurse” (SEE FIGURE 3). 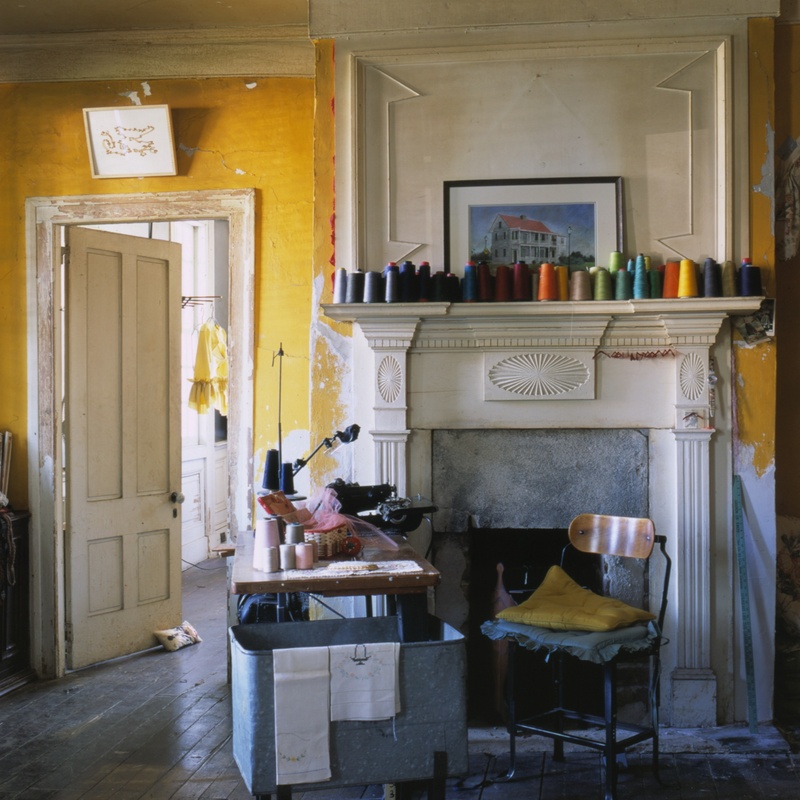 RN: The Past Present and Future of the Nurse’s Uniform, J. Morgan Puett and Mark Dion with the Fabric Workshop and Museum of Philadelphia 2003-2004. My next project, “That Word Which Means Smuggling Across Borders Incorporated,” was a form of business practice directed toward emergent and responsive forms of sartorial composure. For the project, my collaborators and I formed an actual company, based at the Massachusetts Museum of Contemporary Art (Mass MoCA), and proceeded to entangle ourselves with the museum’s management. The complex garments that were the products of this corporation were at once multiple, multiplied, and multi-pieced. All my work is about collaborating with the customer in some sense, and moving through an experience together. Ostensibly, the company existed to create tailored suits for clients. 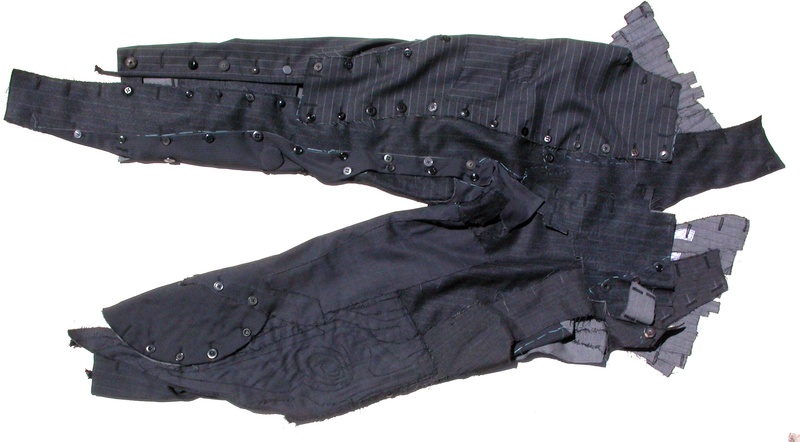 But these suits did not exist as a set of complete-unto-themselves pieces—a jacket, vest, and pair of pants, for example—but rather as a suite of quasi-pieces that constantly drifted in form and composition, shifting and slipping through identities from jacket to skirt to pants to unrecognizable attire. In wandering across our bodies and desires, these pieces would wander across a larger terrain of possible futures: hopeful futures encompassing corporate and noncorporate identities, new gender associations, and alternative forms of engagement. The three-piece suit became a 36-disparate-piece suit complexity. When customers placed an order through the company, we collaborated with them in an elaborate fitting process, during which they would hear the history of the three-piece suit beginning with its origin in 1666, when Charles II proclaimed that men’s suits would henceforth include a vest. In actuality, all of the projects I’ve described are about collaborating with the customer in some sense, and moving through an experience together. That Word Which Means Smuggling Across Borders, Incorporated: The Multipled Suit, J. Morgan Puett in collaboration with Mass MoCA, Iain Kerr, Jamie Grace and others. My current focus is on a vernacular architecture and landscape project called Mildred’s Lane, which embraces site-sensitive, event-based, and collaboratively emergent practices in experimental living. 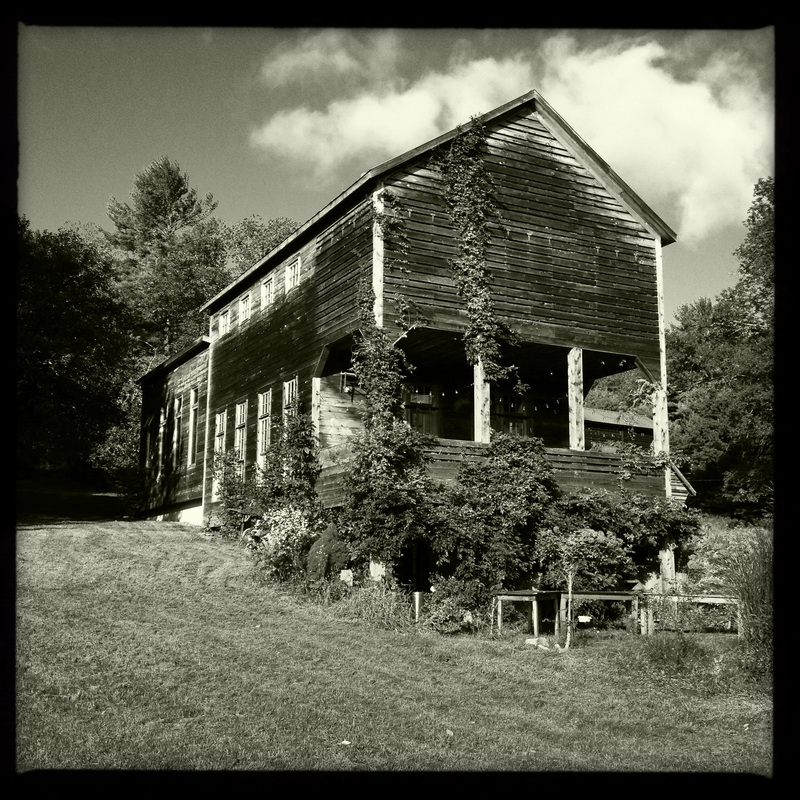 Mildred’s Lane is a 96-acre site deep in the woods of rural northeastern Pennsylvania. Besides me, this ongoing collaboration involves the artist Mark Dion, our son, Grey Rabbit Puett, and friends and colleagues. It’s also a home—my home. This experiment in living has developed as a rigorous pedagogical strategy: a working, living, researching environment that fosters engagement with every aspect of life. The entire site has become a living museum or, rather, a new contemporary art complex(ity). The place itself is inspired by a remarkable woman, Mildred Steffens, who grew up and lived there her entire life, from 1902 to 1987. For much of that time, she was alone. Her old homestead, which we’ve made into the Mildred’s Lane Historical Society and Museum, now encompasses dozens of 19th-century outbuildings, site-sensitive projects, experimental landscape interventions, and public events scattered across portions of this magical acreage. Workstyles are the result of any practitioner’s autobiographical and experiential making, doing, and thinking process, both interrelational and intrarelational. This requires active systems thinking, a highly intuitive aesthetic sense, and understanding of how things influence one another within a whole through cyclical, as opposed to linear, ways of thinking and doing. We try to make each gesture a sensitive and sustainable one that makes way for the next gesture. This requires generosity at all times. Workstyles are activated through creative engagement with the surrounding environment of things, and especially by working with others. Such collaborative relationships grow out of the complex material discipline of installation art, which is my base, but remain theoretically grounded in quotidian tactics of getting by. Adaptive reuse, re-assembling, recycling—all are ways to rethink what we have and what is useful about what is at hand. There is an emphasis on caring for each other and for the topics that drive us, and our comportment brings us closer together in all areas of our lives. Thus commons is conceptualized as being or affecting a whole community, and comportment as commons offers us a way to navigate everyday experience—at least at the Mildred’s Lane site. Comportment here also refers to considering one’s behavior as a constant negotiation with the environment of things and space, and in rethinking our involvement with everyday habits such as shopping, making, eating, cleaning, sleeping, reading, thinking, and doing—in short, everything. Through cultivating our attention to what came before and what comes after, we try to make each gesture a sensitive and sustainable one that makes way for the next gesture. This requires generosity at all times. These turbulent multiplicities of deportment, ethics, etiquette, and above all, hospitality, allow for comfort and freedom, opening up possibilities for new types of exchange. Such workstyles have no beginning and no end—they make up our lives. The participants at Mildred’s Lane, who come from many different nations and disciplinary backgrounds, are constantly learning and sharing workstyles centered around highly charged topics that are addressed collectively throughout the year. These topics are prompted not only by those of us at Mildred’s Lane, but also by visiting artists’ own projects. Many topics involve expanding notions of dwelling and sustainability, and transhistorical and philosophical musings; we usually have a theorist in residence. Short and dense discursive intensives, called sessions, usually feature small groups of students from the most outstanding institutions in the world. These students, referred to as fellows, coevolve workstyles with faculty and guests throughout the sessions. A day at Mildred’s Lane requires negotiating a leave-no-trace policy, similar to that of the National Park Service, while at the same time encouraging interaction with all of life. The requisite sensitivity applies not only to the landscape, but also to people, animals, outbuildings, and objects. The ongoing activation of workstyles, therefore, asks one to seek new balance and relationships. Food and dining are central to these exchanges and, food being a collective event, involve constantly emerging collaborations. Our food projects have been highly memorable for participants and guests. Making meals at Mildred’s Lane often involves an algorithmic process consisting of a set of steps or instructions that create new problems, forcing participants to allow for dinner surprises. This process enables an emergent, energetic, socially engaged event based on a democratic arrangement rather than a singularly authored or predetermined outcome. No two meals are ever quite alike—never in exactly the same place or set up in exactly the same way—and they’re only as good as the people who come to them. Through a series of sessions called Retail 21st Century, we collectively decided to establish an off-site space in order to promote a broader community conversation and experiment on the future of exchange. The resulting project, The Mildred Complexity, now comprises a retail storefront, project space, production studio, and office in the hamlet of Narrowsburg, New York, about 100 miles northwest of New York City. The Mildred Complexity focuses on the dynamics of people and the production of the spirit of exchange, challenging preconceived notions of what the retail store can do. It’s about attempting to recondition consumers to retain their critical faculties when they cross the threshold of a storefront, rather than dropping them. Projects with resident artists at the retail space may manifest in installations, dinners, workshops, music—always with community collaborations in mind and particular attention on locally sourced food. In this small town, our colleagues are building a renewable sociality, charged with environmental activism. Driven by concern for the future, we’re exploring new ways to conceive, produce, make, and do things systemically and interpersonally, while seeking democratic, collaborative, coevolving responses not only to the economy but to the environment. We’re interested in the possibilities of where to situate these practices and actions—not only in galleries or institutions, but also in factories, domestic spaces, or deep in the middle of the woods. All in all, we remain ambassadors of entanglement and seekers of new modalities of exchange that aspire to a hopeful modernity, seeking new tropes of knowledge and keeping in mind that persistence overcomes most obstacles. In the midst of all this flux, at Mildred’s Lane being is itself the practice. PASCALE GATZEN (PG): Having been at Mildred’s Lane and having grown beautiful friendships out of my visit, I feel that the power of the work you’re doing there involves bringing people together who have amazing energy and want to do something in the world. Something magical happens, some chemistry happens, and many projects have come from people who met there. J. MORGAN PUETT (JMP): Yes, it is really magical—so many intense people coming together with like minds around topics we’re all interested in. It’s a bit like a book club, but on an amplified scale. PG:It’s also doing things together, like making meals, arranging the table, and so forth. JMP: Right. There are no servants; we all serve each other. The staff is there to fill in the gaps, training others, watching over the flow of people, and explaining the system of workstyles and how it’s accomplished. Some people come expecting a bed and breakfast, where somebody makes their bed for them. Then they’re given a set of sheets and a lovely note saying, “Kindly hoosh up your building for the next person.” It’s the way we need to start thinking in the world—thinking of the person who came before you and the one who will come after. AUDIENCE MEMBER: I’m curious about the entering and exiting process. How do you choose like-minded individuals to collaborate with? JMP: It’s a wonderful, self-organizing system, which is the best of all worlds. It started out with our friends doing projects, then we began bringing students in to work on projects. Realizing that we were all in major museums and teaching at major institutions around the world, I reached out and asked my friends to support having students come to Mildred’s Lane. In 2007, we formalized the visiting student program.